RV rental in Massachusetts, "The Bay State"
Time goes by unbelievably fast. Last summer, taking your kids to a family vacation in the sunny Florida, to enjoy its exotic beaches and impressive array of theme parks seemed like the best idea of having fun. This year, your kids seem to have grown up all of a sudden, so you suddenly feel the need to plan a different kind of journey to explore some more meaningful travel experiences and create stronger bonds with your family members. This is exactly where our RV rentals in Massachusetts step in. Why Choose an RV Rental in Massachusetts for a Family Vacation? Everybody knows that planning a family journey is no easy task. Touring an entire state involves some serious preparations. Your biggest challenge ahead would be to book hotel rooms along the route with a couple of weeks or months before the actual travel to make sure that all the necessary arrangements are made. The cumulated bills might really mess up your carefully planned family budget. If they do not, the effort of packing and unpacking your stuff whenever you leave a place and start hitting the road once again will surely exhaust you. Besides, no matter how hard you try, you will not be able to fit everything in those bags and backpacks. Why bother so much when you can choose the easy way out? Your RV rental in Massachusetts is waiting. You will never have to worry about any of the above. Your RV will be the perfect living space, and all of your basic needs will be taken care of in it: kitchenette, sleeping facilities, air-conditioning, bike trails, generous storage space. All of this for the same reasonable price, established right from the start. 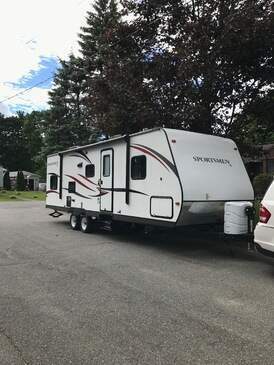 Have you ever wondered what it would be like to rent an RV in Massachusetts and take your folks by surprise this summer? Perhaps you could take you wife or girlfriend on that vacation you never managed to enjoy, or have that last bachelor adventure with your friends? Nothing will be more interesting and entertaining than exploring the history, culture and natural wonders and landmarks of the state in a comfortable RV rental in Massachusetts. One place you surely want to include in your travelling plans is the Yogi Bear's Sturbridge Jellystone Park. You will have a chance to go fishing and trailing together during the day and sit by the campfire at night, telling jokes and having fun while feasting on a most delicious family barbecue in the open air. To make the journey even more memorable, you could also stop and see all the wonderful places along the way. First, take a short ferry ride to the offshore island of Martha’s Vineyard with its beautiful landscapes of the Gay Head Cliffs or the old Flying Horses Carousel. Then, you will surely enjoy an educational stop at the Museum of Fine Arts in Boston, the famous home of approximately 450,000 artworks of some of the most renowned international artists. Later on, take the time for a historical visit at the Parson Capen House, a fine example of colonial architecture dating from the seventeenth century and a National Historic Landmark declared in 1960. If you happen to drive your RV rental in Massachusetts through Boston at the beginning of June, you will have the opportunity to witness the annual Boston Dragon Festival, where more than sixty teams from the country display their unique skills in a series of memorable cultural events. You will get to see dragon boat races, food vendors, arts and crafts exhibits, all culminating with the famous festival banquet. As for parking facilities, there are many campsites for RV rentals in Massachusetts area. In the Sturbridge Jellystone Park, 273 spaces are available, with plenty of family-oriented facilities and amenities, including swimming pool, shuffleboard, nature trails, horseshoes, fishing supplies, Wi-Fi hotspot, restroom, laundry and showers, as well as an ATM machine. There is also the Pine Acres Family Camping Resort, located in Oakham, with its 150 full hookup sites with tables, fire rings, BBQ grills and lots of additional facilities, including splash pad, bike rental, bounce pillow, mini-golf course, etc. Finally, there is the Normandy Farms Family Camping Resort, with its generous 229 full hookup sites, plus all the other facilities and amenities. You will hardly ever think to worry about anything related to your family’s comfort and sense of well-being if you camp here. There are many opportunities to find an RV rental in Massachusetts out there, but no one is as committed to your satisfaction as we are. What do we offer? A wide variety of attractive offers – You can choose from luxurious Class A makes, with all commodities included, to the less expensive yet comfortable class B and C vans. The extra-spacious travel trailers ideal for long trips or the minimalist minivans perfect for challenging city streets. You will also have 25,000 vehicles to choose from. Guaranteed lowest price on the market - At Campanda, we will be happy to reimburse any price difference if you find a better price offer anywhere else. We just want you to enjoy the best campervan at the best price. Pick-up places all over the world - 816 pick-up places in 32 countries are our way of ensuring you that no matter where you plan on going, you will not have to travel too far to pick up or return the RV. 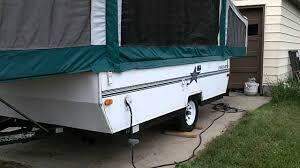 No matter where you are from, where you are going and for how long you will be using RV rentals in Massachusetts area, we will surely find a solution for your needs. Comfort and all the desired amenities - From standard campervans to mini-home vehicles with fully furnished kitchenette, bathroom and bedroom, with facilities ranging from the basic ones to hot water, fridge, satellite TV or home-entertainment systems, you can make sure your family enjoys all the travelling benefits they wish at a very reasonable price. All your fantasies about the long waited family adventure to the “Bay State” are just one click away. Our dedicated customer service is standing by, waiting to help you book the RV rental of your dreams, plan your trip and stick to your budget. With one of our RV Rentals in Massachusetts, your dream vacation is a few clicks away, and it is only up to you to turn it into reality, without any explosive costs, comfort or transportation related worries – just fun, fun and fun! 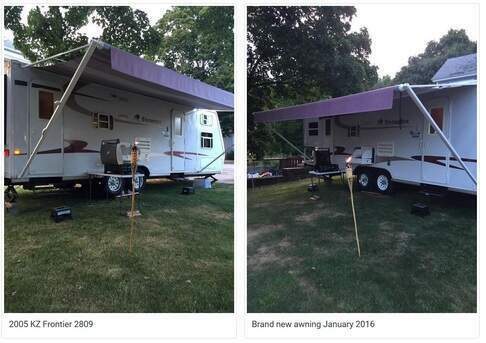 If you'd like to refine your search, you can look for motorhomes in Springfield or Boston.